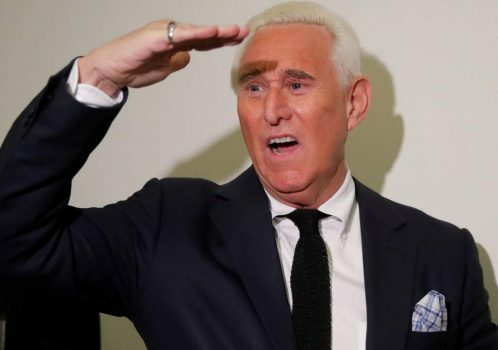 A former adviser to President Donald Trump of the United States, Roger Stone who was indicted by special counsel, Robert Mueller has been arrested on charges of obstruction, giving false statements and witness tampering. Stone has been under the microscope of Mueller over his alleged connection to WikiLeaks and hacked Democratic emails released by the site during the 2016 presidential campaign. He has repeatedly denied colluding with WikiLeaks. The 66-year-old Stone was arrested on Friday morning by Federal Bureau of Investigation (FBI) agents in Fort Lauderdale, Florida and is expected to make an initial appearance later this Friday in a federal courthouse. It was the first move in months by the special prosecutor probing Russian collusion in the 2016 American election to ascertain whether Trump and his campaign team tried to obstruct justice. According to the grand jury indictment filed on Thursday in the US District Court for the District of Columbia, Stone maintained regular contact with and publicly supported the Trump’s campaign throughout the 2016 election. Nearly a dozen associates of Stone have been summoned by Mueller, who is conducting the Russia investigation to appear before his Washington grand jury. Trump had in December tweeted his support for his ex-adviser, quoting that Stone would never testify against him.